Thanksgiving is over and it is time to start thinking about decorating for the holiday season! You may even have guests coming for the holidays. As you unpack all your holiday decor, you may find that it needs a little refreshing after spending a year in the attic, garage, or basement. 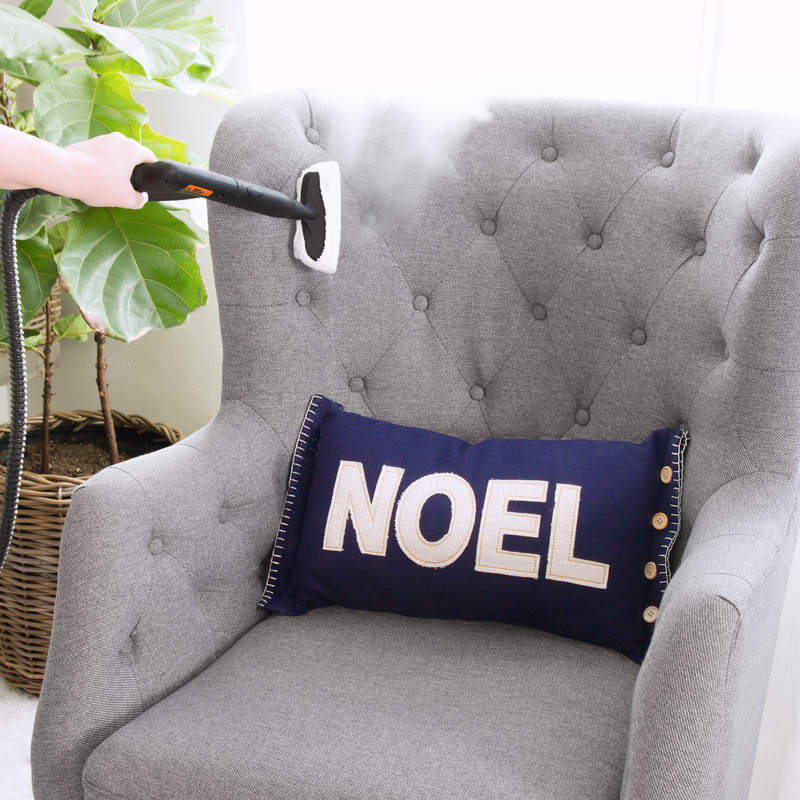 The SteamMachine is the perfect tool to help you get your home holiday ready! Freshen up your sofas and chairs! 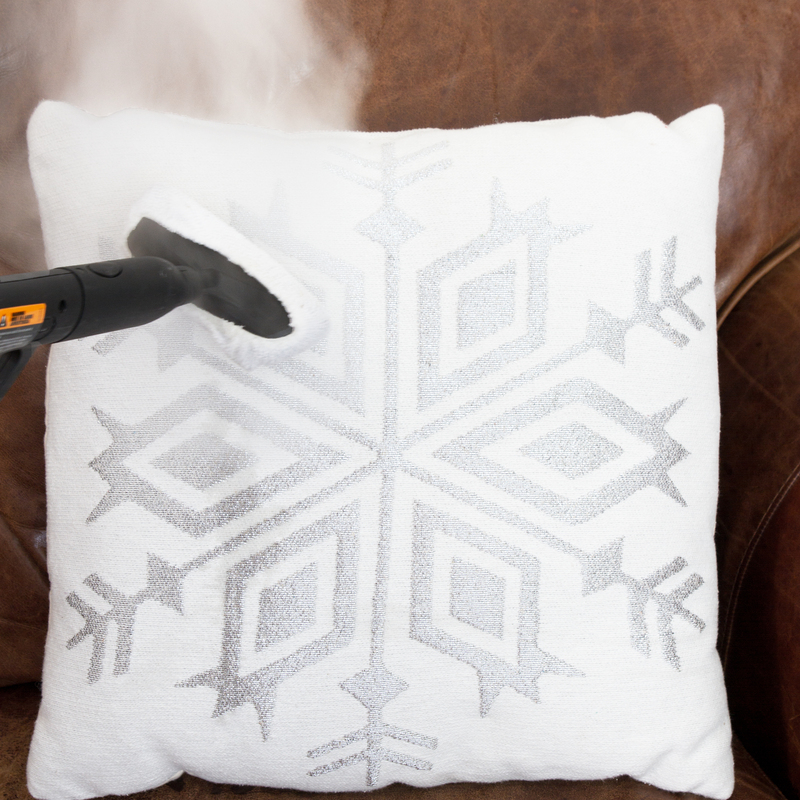 The SteamMachine gets sticky stuff off, gets rid of odors, and makes it clean and santitized. I know our dog can give our chair a canine smell that the lint brush is not going to fix. I feel better after I give it a good steaming. Are you hosting a holiday dinner? That table cloth that you just pulled out of the drawer will have some serious fold marks. Or if you wash it, it will have some wrinkles. Steam the wrinkles right out! 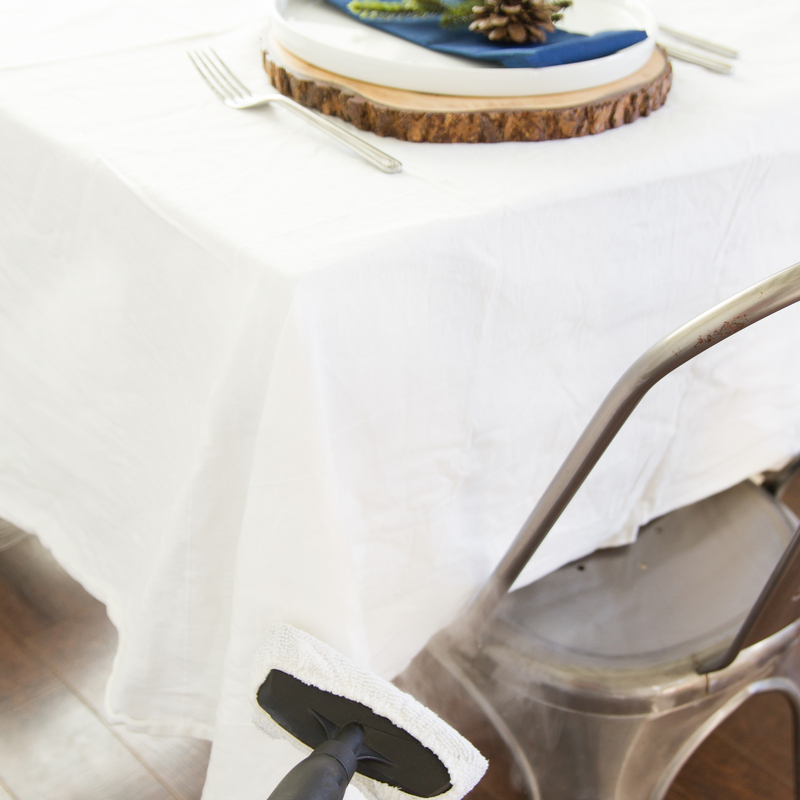 You can also steam cloth napkins so your dinner party will be a wrinkle free hit! This is my favorite holiday tip. My throw pillows spend the year in a tote in the garage. I can't wash most of them in the washing machine because of the sequins and other decorations on them or because of the material they are made out of. To freshen them up, I steam them! It gets rid of the stale smell and it makes me feel better knowing they are clean. When I wash my curtains, they come out of the dryer pretty wrinkled. I like to steam the wrinkles out. If your curtains are the type that can't be thrown in the washer, you still need to freshen them up, so steaming would be a good alternative to a swin im the washing machine. Either way, the SteamMachine comes to the rescue! I hope you have a very happy and very clean holiday season!